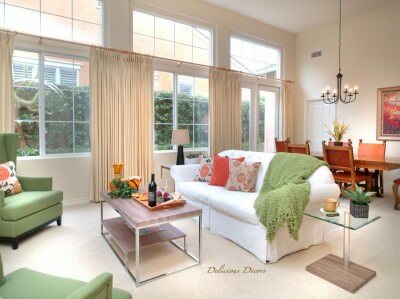 Does Home Staging Influence Buyers? Yes, according to the National Association of REALTORS®, home staging influences buyers. 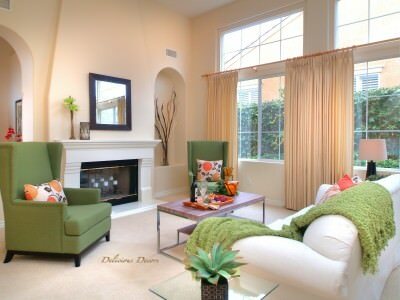 Due to home staging, motivated buyers pay more for a property and influences their perception of a home. This is based on a survey conducted amongst more than 2,300 real estate agents representing both buyers and sellers. “A massive 81% of real estate agents representing buyers think that a staged home makes it easier for potential buyers to visualize the property as their home. Some 46% of agents representing buyers also thought that staging made buyers more willing to schedule a visit to a property they had viewed online. Not surprisingly, 45% of real estate agents say buyers tend to view a property more positively if it’s a decorated to their tastes. Interestingly 28% of real estate agents said buyers were more willing to overlook less desirable traits in a property if the home has been staged. According to the article in Realtor Mag, real estate agents say that staging can potentially influence the type of offer a buyer will put in on a home. Apparently 32% of those agents acting for buyers thought that staged homes increased the amount buyers are willing to offer from between 1% to 5% while 16% thought a staged home had the potential to increase offers from between 6% to 10%. In spite of the potential for a seller to gain a better offer in their home, just 44% of agents representing sellers said they only recommend that sellers de-clutter a home and fix any faults in the property but do not necessarily recommend the home should be professionally staged. Just 34% of agents surveyed said they staged all homes they list while 13% only stage homes they think will be difficult to sell and 4% only stage high priced homes.